If you are Stagecoach you wouldn't want to be associated with First any more than you have to and and so the small letters make sense. Also I imagine once the new buses come they'll be plenty of shouting about it and very clear branding. Why associate yourself more than you have to with a failing brand. 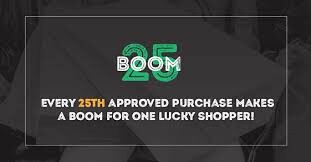 Explain 'failing brand' to us? 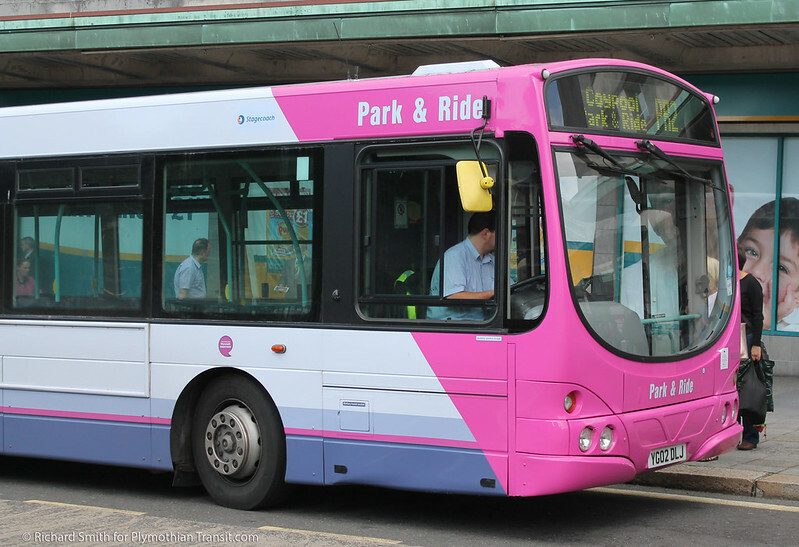 First Plymouth has hardly ever been a success has it and a Park and Ride with 02 plate vehicles is also not exactly one to be proud of either (a coat of pink paint does not make a bus new). Plymouth P&R must have some of the oldest vehicles working a P&R in the country. I would suspect the Stagecoach service will be a significant upgrade...a bit like Gold vs X80 for example. I was trying to get out of you what a 'failing brand' is in the context of First. I take it from the lack of a reply to my question you just wrote 'failing brand' without knowing what you meant? First Bus is most definitely a failing brand. Manchester, Leeds and possibly Scotland excepted they are considered failing. The rail arm is slightly better but still hardly a glowing example. It was no surprise that there was no outcry when Stagecoach announced they were taking over First in Plymouth and even their emergency fleet buses will still be an upgrade. If Western Greyhound hadn't self destructed (almost like First Cornwall did) it would have been likely that the far west would finally have been rid of them. Buses of Somerset is a good try to turn around their failed brand in Taunton but that is failing rapidly too. There is a reason they are called Worst Bus and also a reason why they are trying such radical livery changes...they are desperate to shed they failed Barbie branding. I realise you don't agree here but the evidence speaks for itself. The Plymouth Fireworks and Greyhound debarcles sum up everything really. i would of thought they would have repainted this one into there own livery? but i herd they are getting new buses next year for this 200 route so that could be why. also the fleet number i think is staying the same? There are actually 12 vehicles remaining on loan, not all of which are in Park and Ride livery. Its a little puzzling why Stagecoach want to put a (Small) Stagecoach fleet-name on a bus owned by a major competitor? The only people who are going to notice it are Enthusiasts or company staff - maybe it was part of the deal between the 2 operators? The First logos on these buses were very small too, just not quite this small! I dont see the fuss.These buses are on loan so no need to put large names.There is no First name .So long the legal owner is written. Is this photo for real? This bus YG02DLJ was parked in Bretonside on Saturday afternoon (29th) and most definitely had First fleetnames and not Stagecoach. Had they changed it for some publicity pictures perhaps? YES...the photo is for real. The photo was taken on 22nd August and if you were in Plymouth on that day and seen the bus for yourself, you would not be questioning it.